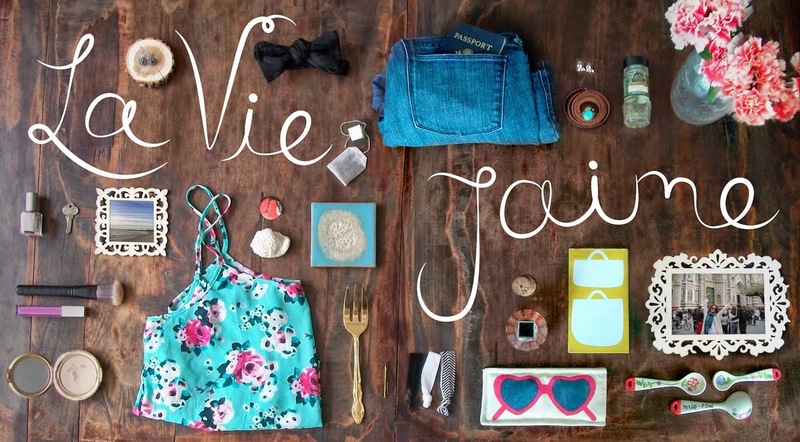 La vie Jaime : Uncommon Goods $50 giveaway! Buddha cup for hot chocolate on chilly fall days. Wall dot bud vase for unique wall "art". Mixtape glasses for my next dinner get-to-gether. Giraffe booties for my sis-in-law's new baby due in November (she loves giraffes). With the holidays coming, perhaps you can use the $50 towards a gift for a friend or family member...or yourself! They have plenty of is & her gifts to choose from here & here. 1. Just follow: However you follow La vie...J'aime- FeedBurner/email, BlogLovin', Twitter, Facebook, Pinterest - each counts as 1 entry. 2. Comment on each way you follow and an item that caught your eye on UncommonGoods. That's it! Winner will be announced in 1 week; good luck! Update 10/16/13 - the winner is Carolyn. Thanks for playing! I follow you on pinterest(Kelly Saver) and twitter(kellydpa) and I like the Birth Month Flower Necklace. I follow you on Bloglovin, Twitter and Pinterest :) Love the hot chocolate cups! And I like them on Facebook! I follow on bloglovin and really like the boot caddy, especially with Winter so close. I subscribed to Uncommon goods. I follow you on Bloglovin', Twitter, Pinterest and Instagram!!! I like UncommonGoods on FB! I follow you on every platform, liked Uncommon Goods on Facebook and tweeted about the giveaway! I love those giraffe booties for my new niece and the pedestal jewelry holder! I follow on Bloglovin. I noticed the LAKE TOPOGRAPHY ART on their website. I'm from Michigan, so I think I need it!! I now follow on twitter too! Just liked your page on Pinterest! I subscribed to Uncommon Goods email. I love Uncommon Goods. It would be hard to choose. I followed you on Facebook. I would love the heehaw pull along for my sweet boy.